MURUA. One of the most fun parts about working with MURUA was that I got the amazing opportunity to co-design a pair of pants together with the designer Momoko! My love for the 70’s evolved into a pair of dreamy, wide-legged flower power pants in a super delicate, sheer fabric that kind of floats when you walk, if that makes any sense. To see these pants that I’ve followed from when they were nothing but an idea and a sketch on a paper last year, now appearing in magazines like JJ & Nylon Japan is surreal and beyond my imagination. I am so grateful to have been part of such a fun collaboration, working with the people at MURUA has truly been one of the most amazing experiences in my life! You look amazing! Really love how they styled you! Must’ve been an amazing experience! wow what a amazing experience! The pants looks great! that is so exciting! you must be so proud! you looked great in the video, and amazing in print as well!!! must be crazy for you! i love japanese magazines. they always have such a fabulous take on style. pants are unusual and fun! And really cool that you’ve got the chance to co-design a pants with momoko! wow so cool! i love the pants. great job girl! Oh, it’s 2NE1 on the cover! Wow, this is amazing! i love the black off the shoulder top!! You look beautiful! 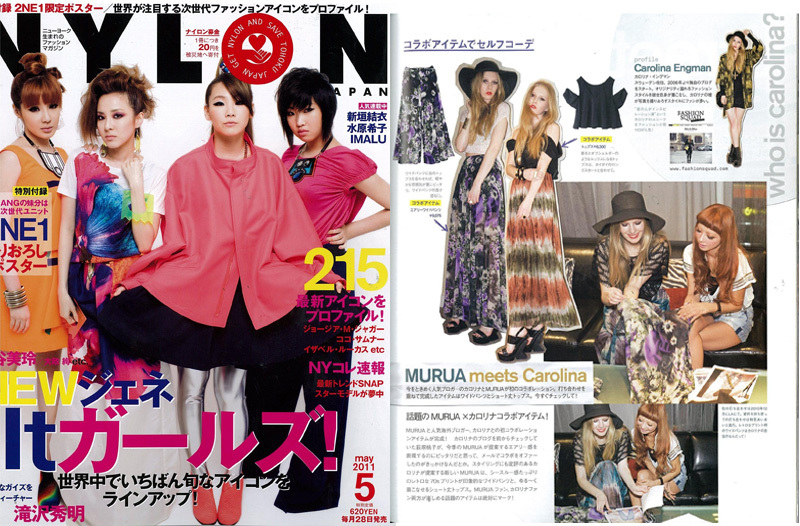 Congrats on the Nylon Japan feature! wow you look so awesome thr! Congratulations! Love the outfits..it looks amazing. u look great , as always !! how beautiful? :) that’s so cute! congrats!!! Wow, congratulations! You look awsome! Congrats! You look stunning girl! Congrats doll, looks beautiful! Have a great weekend! congratulations on your never ending success, you always manage to look effortlessy chic in every photo. bravo! Somebody just mentioned this article on Lusakatimes and I came to check it out and am not disappointed.Very well written.Thanks neighbors for your support. "Went to a party, I danced all night. I drank sixteen beers and started up a fight.."